Thermo Fisher Scientific specializes in developing high-end analytical instruments that solve complex analytical challenges. When Areteworks was brought aboard, Thermo Scientific was creating an analytical device that measured solid samples by reflectance and transmission, as well as providing a total analysis solution for spectroscopy research, optical component characterization, and color analysis. 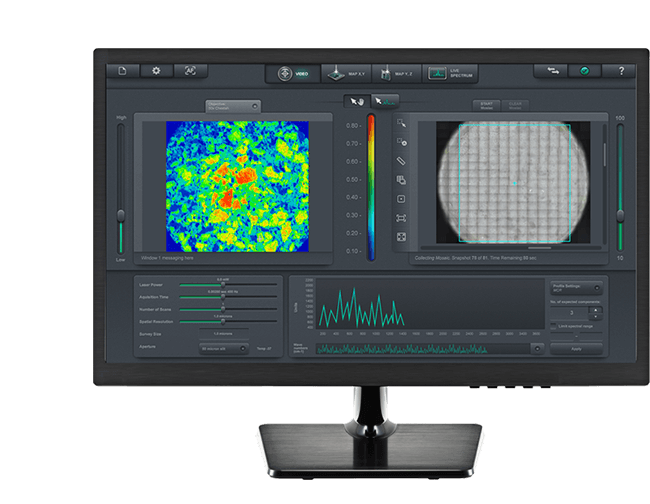 Thermo Fisher Scientific partnered with Areteworks to bring a sophisticated User Interface to their revolutionary new product. 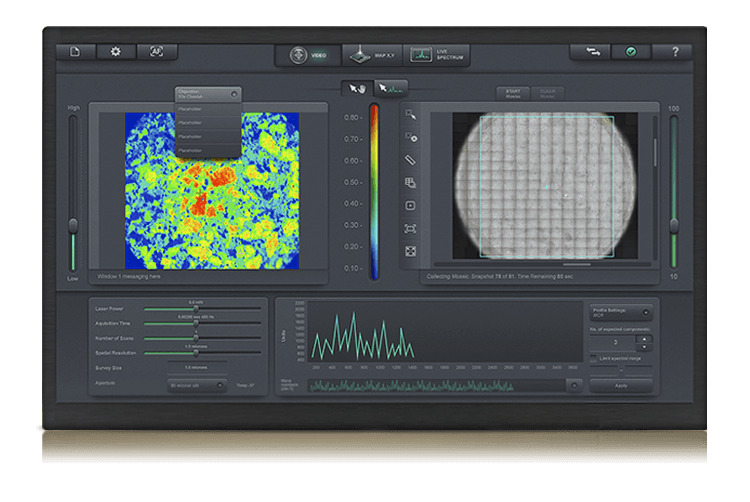 Our challenge was to combine all of the features of Thermo Scientific’s Raman Imaging Microscope into a cohesive, intuitive layout. It was also imperative to convey complex and detailed visual analysis in a simplified style. 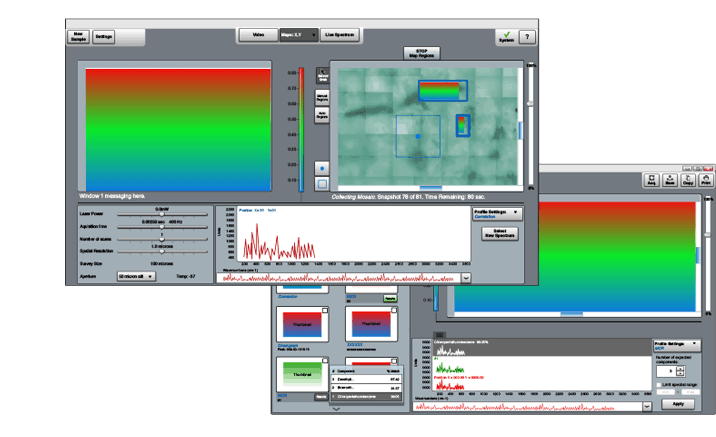 This included generating a complete visual iconography language unique to Thermo Scientific’s revolutionary imaging microscope to convey its myriad of features and data results available to users. 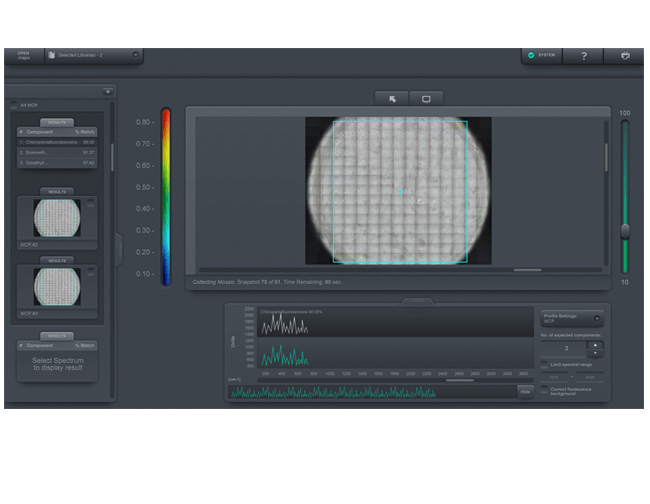 In our effort to deliver a unique and flexible UI, Areteworks utilized its varied disciplines to create an intuitive user interface for Thermo Scientific’s advanced microscope. Our process included conducting extensive Behavioral Research, providing multiple design concepts, performing usability testing and creating eye-catching visual designs, leading to the generation of an inspiring User Experience.